CARFAX One-Owner. Clean CARFAX. Certified. 4WD. 4WD 8-Speed Automatic V6Colorado Chevrolet Summit WhiteChevrolet Certified Pre-Owned Details:* Transferable Warranty* Roadside Assistance* Vehicle History* Warranty Deductible: $0* 172 Point Inspection* 24 months/24,000 miles (whichever comes first) CPO Scheduled Maintenance Plan and 3 days/150 miles (whichever comes first) Vehicle Exchange Program* Powertrain Limited Warranty: 72 Month/100,000 Mile (whichever comes first) from original in-service date* Limited Warranty: 12 Month/12,000 Mile (whichever comes first) from certified purchase dateFor over 80 years, Stewart Automotive has served as your premier Colma, San Francisco, Daly City and Bay Area car dealer by backing their comprehensive new and used car and truck inventory with service that goes the extra mile. A family-owned and operated business, our goal has always been to help San Francisco and Daly City Cadillac Chevrolet Chrysler Dodge Jeep Ram customers like you find a new or used car, truck, or SUV that fits your needs and to keep it running in top condition. Recent Arrival! Priced below KBB Fair Purchase Price! CARFAX One-Owner. Clean CARFAX. Certified. 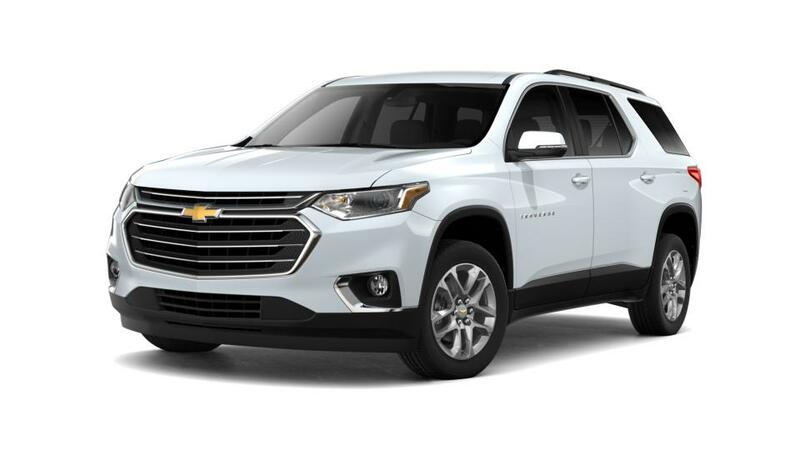 FWD 9-Speed Automatic 3.6L V6 SIDI VVTTraverse Chevrolet Summit White 18/27 City/Highway MPGChevrolet Certified Pre-Owned Details:* 172 Point Inspection* Transferable Warranty* Roadside Assistance* 24 months/24,000 miles (whichever comes first) CPO Scheduled Maintenance Plan and 3 days/150 miles (whichever comes first) Vehicle Exchange Program* Warranty Deductible: $0* Powertrain Limited Warranty: 72 Month/100,000 Mile (whichever comes first) from original in-service date* Vehicle History* Limited Warranty: 12 Month/12,000 Mile (whichever comes first) from certified purchase dateFor over 80 years, Stewart Automotive has served as your premier Colma, San Francisco, Daly City and Bay Area car dealer by backing their comprehensive new and used car and truck inventory with service that goes the extra mile. A family-owned and operated business, our goal has always been to help San Francisco and Daly City Cadillac Chevrolet Chrysler Dodge Jeep Ram customers like you find a new or used car, truck, or SUV that fits your needs and to keep it running in top condition. Priced below KBB Fair Purchase Price! CARFAX One-Owner. Clean CARFAX. Certified. FWD 6-Speed Automatic Electronic with Overdrive 3.6L V6 DI DOHCImpala Chevrolet Silver 19/28 City/Highway MPGChevrolet Certified Pre-Owned Details:* Vehicle History* Powertrain Limited Warranty: 72 Month/100,000 Mile (whichever comes first) from original in-service date* 24 months/24,000 miles (whichever comes first) CPO Scheduled Maintenance Plan and 3 days/150 miles (whichever comes first) Vehicle Exchange Program* Limited Warranty: 12 Month/12,000 Mile (whichever comes first) from certified purchase date* Warranty Deductible: $0* Transferable Warranty* 172 Point Inspection* Roadside AssistanceFor over 80 years, Stewart Automotive has served as your premier Colma, San Francisco, Daly City and Bay Area car dealer by backing their comprehensive new and used car and truck inventory with service that goes the extra mile. A family-owned and operated business, our goal has always been to help San Francisco and Daly City Cadillac Chevrolet Chrysler Dodge Jeep Ram customers like you find a new or used car, truck, or SUV that fits your needs and to keep it running in top condition. New Price! Priced below KBB Fair Purchase Price! CARFAX One-Owner. Clean CARFAX. Certified. 6-Speed Automatic Electronic with Overdrive, 4WD, Jet Black w/Cloth Seat Trim. 4WD 6-Speed Automatic Electronic with Overdrive EcoTec3 5.3L V8Silverado 1500 Chevrolet BlackChevrolet Certified Pre-Owned Details:* Warranty Deductible: $0* Vehicle History* 172 Point Inspection* Powertrain Limited Warranty: 72 Month/100,000 Mile (whichever comes first) from original in-service date* Limited Warranty: 12 Month/12,000 Mile (whichever comes first) from certified purchase date* 24 months/24,000 miles (whichever comes first) CPO Scheduled Maintenance Plan and 3 days/150 miles (whichever comes first) Vehicle Exchange Program* Transferable Warranty* Roadside AssistanceFor over 80 years, Stewart Automotive has served as your premier Colma, San Francisco, Daly City and Bay Area car dealer by backing their comprehensive new and used car and truck inventory with service that goes the extra mile. A family-owned and operated business, our goal has always been to help San Francisco and Daly City Cadillac Chevrolet Chrysler Dodge Jeep Ram customers like you find a new or used car, truck, or SUV that fits your needs and to keep it running in top condition. New Price! Priced below KBB Fair Purchase Price! CARFAX One-Owner. Clean CARFAX. Certified. 4WD 6-Speed Automatic Electronic with Overdrive EcoTec3 5.3L V8Suburban Chevrolet Tungsten MetallicChevrolet Certified Pre-Owned Details:* Transferable Warranty* Vehicle History* Warranty Deductible: $0* 172 Point Inspection* Powertrain Limited Warranty: 72 Month/100,000 Mile (whichever comes first) from original in-service date* 24 months/24,000 miles (whichever comes first) CPO Scheduled Maintenance Plan and 3 days/150 miles (whichever comes first) Vehicle Exchange Program* Limited Warranty: 12 Month/12,000 Mile (whichever comes first) from certified purchase date* Roadside AssistanceFor over 80 years, Stewart Automotive has served as your premier Colma, San Francisco, Daly City and Bay Area car dealer by backing their comprehensive new and used car and truck inventory with service that goes the extra mile. A family-owned and operated business, our goal has always been to help San Francisco and Daly City Cadillac Chevrolet Chrysler Dodge Jeep Ram customers like you find a new or used car, truck, or SUV that fits your needs and to keep it running in top condition. New Price! Priced below KBB Fair Purchase Price! Odometer is 13175 miles below market average! CARFAX One-Owner. Clean CARFAX. Certified. 4WD 6-Speed Automatic Electronic with Overdrive EcoTec3 5.3L V8Suburban Chevrolet Silver Ice MetallicChevrolet Certified Pre-Owned Details:* 172 Point Inspection* Powertrain Limited Warranty: 72 Month/100,000 Mile (whichever comes first) from original in-service date* Roadside Assistance* Limited Warranty: 12 Month/12,000 Mile (whichever comes first) from certified purchase date* 24 months/24,000 miles (whichever comes first) CPO Scheduled Maintenance Plan and 3 days/150 miles (whichever comes first) Vehicle Exchange Program* Warranty Deductible: $0* Vehicle History* Transferable WarrantyFor over 80 years, Stewart Automotive has served as your premier Colma, San Francisco, Daly City and Bay Area car dealer by backing their comprehensive new and used car and truck inventory with service that goes the extra mile. A family-owned and operated business, our goal has always been to help San Francisco and Daly City Cadillac Chevrolet Chrysler Dodge Jeep Ram customers like you find a new or used car, truck, or SUV that fits your needs and to keep it running in top condition. New Price! Priced below KBB Fair Purchase Price! CARFAX One-Owner. Clean CARFAX. Certified. AWD, Jet Black Leather. AWD 6-Speed Automatic 3.6L V6 SIDI DOHC VVTAcadia GMC Summit WhiteGMC Certified Pre-Owned Details:* Warranty Deductible: $0* 172 Point Inspection* Limited Warranty: 12 Month/12,000 Mile (whichever comes first) from certified purchase date* Roadside Assistance* Vehicle History* Powertrain Limited Warranty: 72 Month/100,000 Mile (whichever comes first) from original in-service date* Transferable Warranty* 24 months/24,000 miles (whichever comes first) CPO Scheduled Maintenance Plan and 3 days/150 miles (whichever comes first) Vehicle Exchange ProgramFor over 80 years, Stewart Automotive has served as your premier Colma, San Francisco, Daly City and Bay Area car dealer by backing their comprehensive new and used car and truck inventory with service that goes the extra mile. A family-owned and operated business, our goal has always been to help San Francisco and Daly City Cadillac Chevrolet Chrysler Dodge Jeep Ram customers like you find a new or used car, truck, or SUV that fits your needs and to keep it running in top condition.